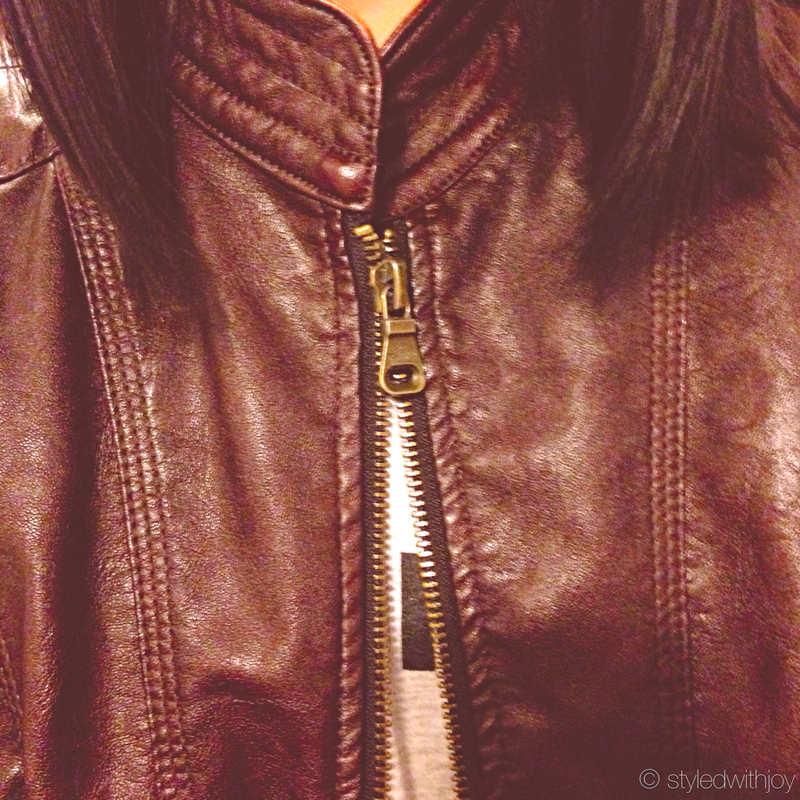 Thanks to LifeHacker, I’m not stuck in my leather jacket hyperventilating. I literally separated the zipper from where it was stuck all the way down to the bottom and zipped up, causing the most uncomfortable leather cape around my body, sleeves on and everything. I really was trapped in my own jacket, as sad and ridiculous as that sounds. I read the article and I felt like it was talking directly to me. It even had a visual of what I was going through as well. All you need is a pencil. Yes, a pencil! Simply drag the pencil onto the zipper as if you were writing on it and do this til you get to the very bottom, keeping the pencil close just in case. There were times the zipper would go down a few inches, get stuck, and I’d have to write on the zipper again. 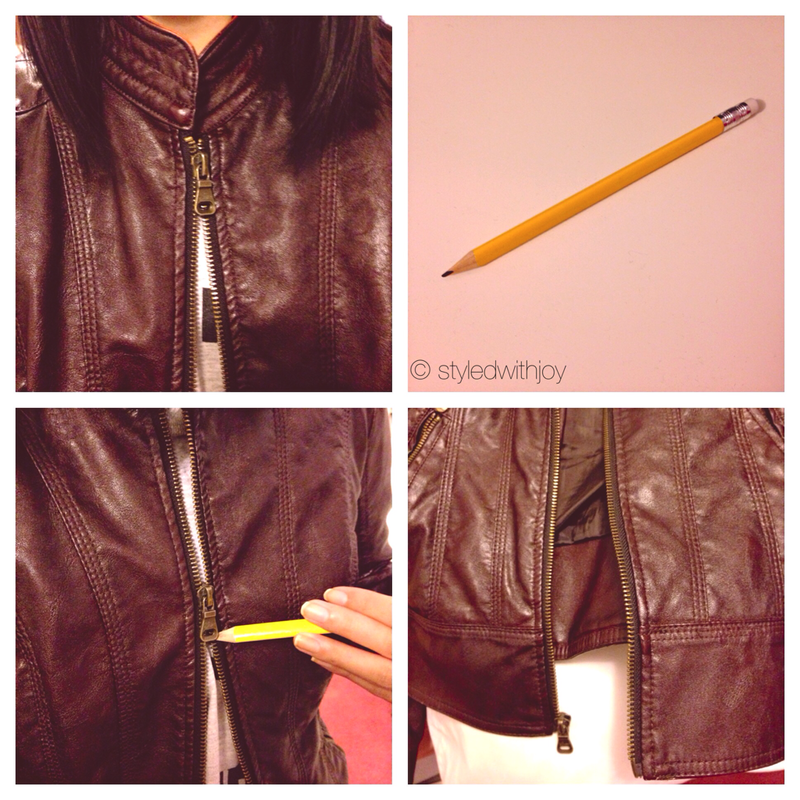 Luckily, this life hack worked wonderfully and I was out of my jacket within the 10 minutes of getting stuck, looking up a solution, and grabbing a pencil. Has this silly zipper conundrum ever happened to you? Great tip….this just happened to my daughter last week! I gawd, I have a jacket that does this ALL the time! I’m half tempted to get rid of the thing. Wait, WHERE am I putting the pencil? Into the zipper teeth? Yes! As if you’re writing on top of the zipper teeth and the part that the zipper glides over — Makes it smooth enough for the zipper to travel. Interesting. I will try next time! 🙂 Yay Google and Lifehack! Hope it works for you too! They say if that doesn’t work, to move on to stickier things like soap. Yuck! Very practical life hack Joy!! !